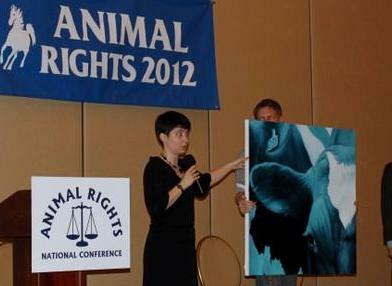 A Well-Fed World continues to be a strong supporter and sponsor of the Animal Rights National Conference. Held in Washington, DC AR2012 was jam-packed with 70+ sessions, thoughtful debates, and insightful speakers. A Well-Fed World’s Dawn Moncrief MC’d the Banquet Auction and spoke at the Sunday Plenary on the ways in which the hunger communities and animal rights communities can work together… the problems and the possibilities. Institute for the Development of Earth Awareness – IDEA’s new project Photo Philanthropy uses black-and-white documentary photos from actual slaughterhouses to depict the realities in a way that people are more likely to view and let sit, then allow themselves to be affected. Food Empowerment Project is a vegan food justice organization (and previous award winner) that highlights the human and animal abuses in the U.S. food system, especially for low-income and marginalized communities. This grant will go toward printing a Spanish language version of their compelling educational brochure. Food is an incredible outreach tool and festivals are a wonderful outreach opportunity. 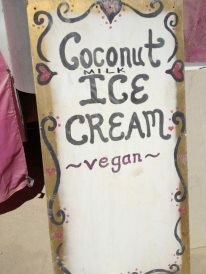 Volunteers distributed 60 gallons of donated coconut milk ice cream along with vegan literature and recipes at the Burning Man Festival, to raise awareness for a healthier and animal-friendly lifestyle. Burning Man attracts about 70,000 attendees. AWFW’s Founding Director, Dawn Moncrief, traveled to Luxembourg to present on “Future Trends: Meat, Hunger, and Global Warming” at the International Animal Rights Conference. We are extremely proud to be a first-time sponsor of this activist-oriented conference that provides a unique international platform for networking, broad theoretical discussions, updates on current events, and hands-on “how-to” information. 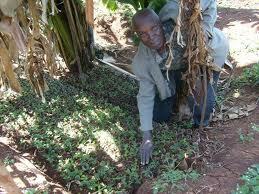 In some regions of Kenya, mushrooms are a practical alternative to meat because both are equal in social status. The Mosocho Farmers are creating a pilot program to (1) raise awareness about the benefits of eating mushrooms instead of meat, (2) establish mushroom production units for poverty reduction, and (3) commercialize the process for greater reach. 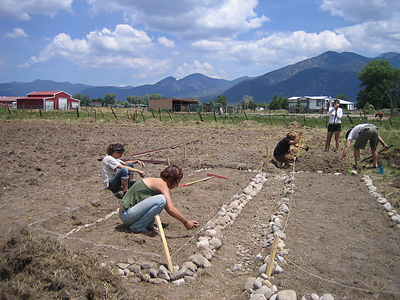 Volunteers in New Mexico have created a Free Skool where young people participate in workshops on organic farming, vegan cooking, solar baking, and community organizing. Our award assisted them in the building of the on-site water pump needed for irrigation. 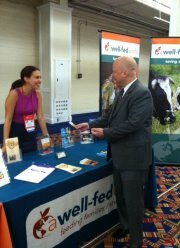 A Well-Fed World contributed an event sponsorship grant for the Taking Action For Animals conference in Washington, DC. 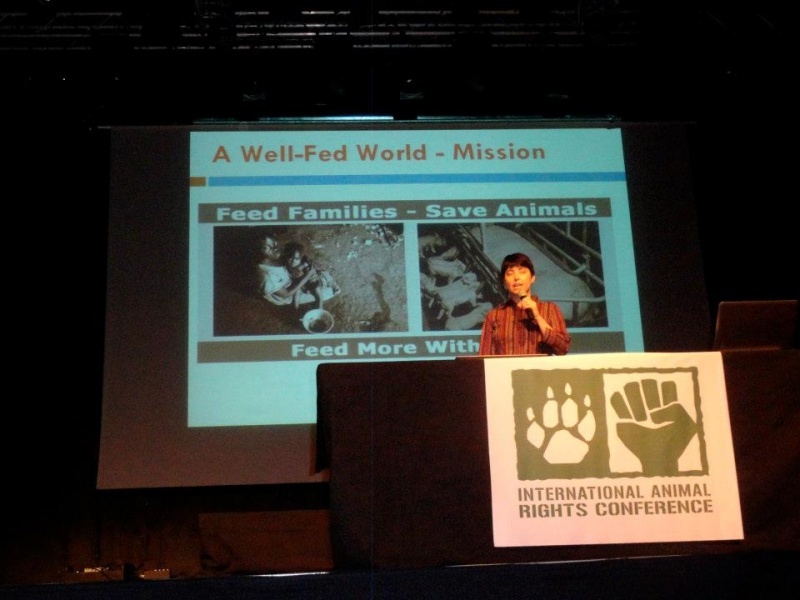 In doing so, we raised awareness about the benefits of vegan food choices for global hunger issues to a large, mainstream audience of concerned animal advocates as they gathered to share ideas, news and victories from all sectors of the field. TAFA returns to DC in 2014 for the next election season. 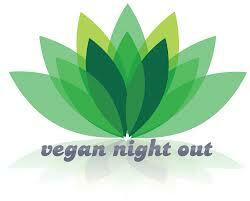 The newly-formed Shenandoah Valley Vegans organized a Vegan Night Out. This multi-prong event kicked-off with a Vegan Food Crawl where restaurants provide vegan appetizers so that people can “crawl” from restaurant to restaurant to sample the options. 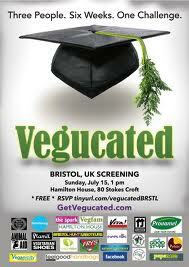 The event culminated in a screening of the documentary, Vegucated. Animation has a unique capacity to distill complex concepts in an accessible, non-threatening way. 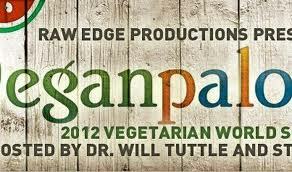 In a light-hearted, playful presentation of ideas, Vegtoons encourages folks to consider a plant-based diet. In raising awareness and fostering understanding, the sympathetic approach of the series is meant to appeal to a global audience across a wide spectrum of age, culture and literacy. Students returning to their courses at the UK’s Bristol University will not only be learning about their chosen studies – they will also get a chance to be ‘Vegucated’ about their eating habits, with two free screenings in November of this life-altering documentary. The free event includes vegan snacks, stand-up comedy, screening and discussion. Donations will be accepted on behalf of the hunger relief organization VegFam (also a prior grant winner). 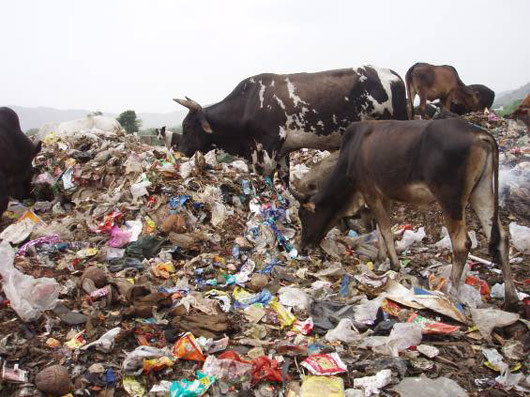 Cows in India often graze on landfills and areas littered with plastic and other garbage, which causes objects to get lodged in their digestive tracks. The Plastic Cow Project saves these cows by surgically removing the plastic from their stomachs and providing rehabilitation and sanctuary for healing. Time is critical and we continue to raise funds on behalf of this dire, heart-breaking situation. 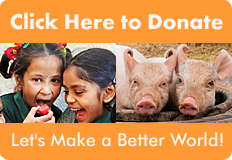 UPDATE –> thanks to special member participation, our total 2012 funding for the “Plastic Cow Project” in India is $11,250!